Cool, I've signed up and did all you've asked for. And would love love love to have one of their beautiful dresses! Wauw, wat een leuke giveaway! En je zegt dat je ook Nederlands spreekt, dus vandaar dat ik het nu in het Nederlands schrijf, haha. I really like this giveaway! Would love to win! Already following you, dear! I am your reader from Taiwan!! Thanks for such an interesting and lovely blog! I've really fallen in love with your style. And I signed up with emilylime20@gmail.com! I've signed up, followed you via bloglovin', and all that jazz. Such a lovely giveaway! Followed through GFC. super giveaway! zou heeeel graag willen winnen :) leuk dat er 2 winnaars zijn! Thank you both for having this giveaway! signed up for a romwe account. 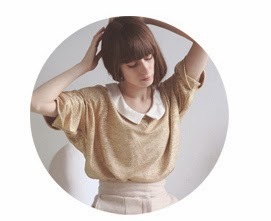 I follow you per bloglovin. I follow you via Google Friend and I also created an account. I love Romwe. They're stuff is super cute! I would love to try shopping from Romwe! Thank you for the giveaway! I have been wanting to shop Romwe forever! This would be a great opportunity! mail on romwe; okarmus.p@gmail.com, on fb; tysiak_19@o2.pl, follower; tyś./ka. I am follower of your blog and also have Romwe account! I follow through GFC! & I am already registered with Romwe! Aw such a lovely giveaway!! 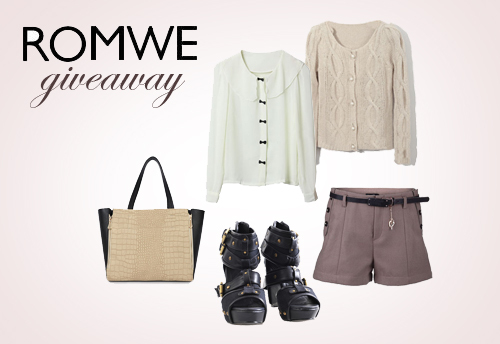 Great giveaway...have a beady eye on many Romwe items at the moment!! great giveaway ! I am already following you and have a romwe account :),their clothes are so eye-catching and stylish, it would be nothing but a dream to win ! Love your style and Romwe's clothes :D Followed! Oh this would be so great as I spend all my budget already and noticed Romwe has such cool stuff! Enter me please! I've registered.